ISE, Integrated Systems Europe, is Europe´s no.1 show for professional AV and electronic systems integrators. Whatever your level of interest in audiovisual technology, ISE has something for you and including a diverse range of education and networking opportunities available before and during the show. The fair will take place from the 9th until the 12th of February in Amsterdam (The Netherlands) at the RAI Exhibition Centre. 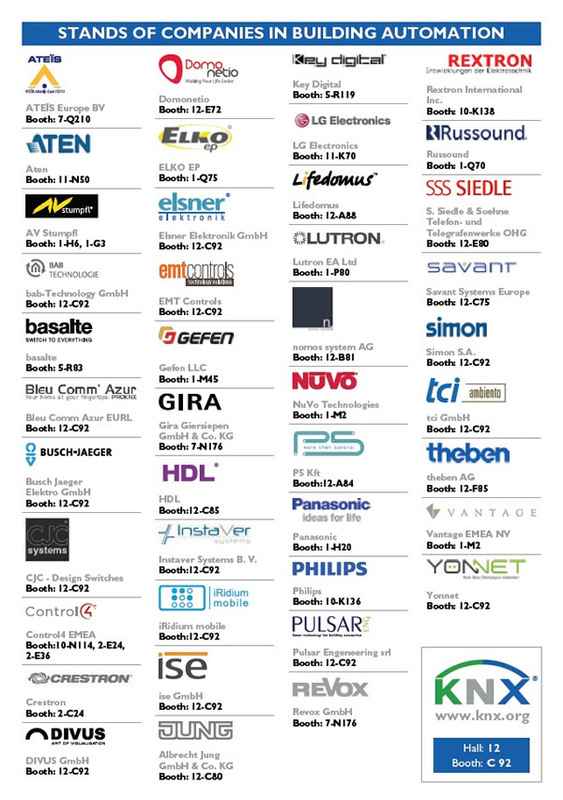 Once again, the KNX Association will have a booth during the fair in hall 12 booth C92 comprising over 160m². Furthermore companies Instaver and Domonetio will deliver KNX Training sessions at the KNX booth throughout the fair.